Satti is a famous breakfast in Tawi Tawi. 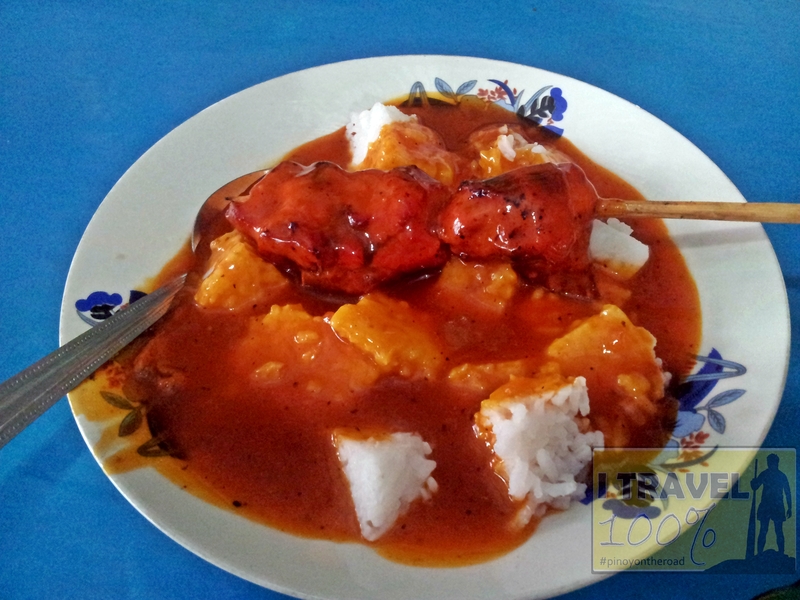 Satti is grilled chicken placed on-top of cube rice and dipped in a special satti sauce. I have only seen this delicacy in Southern Mindanao particularly in Zamboanga City. Being a regional delicacy, people here have lived and loved eating satti every breakfast. 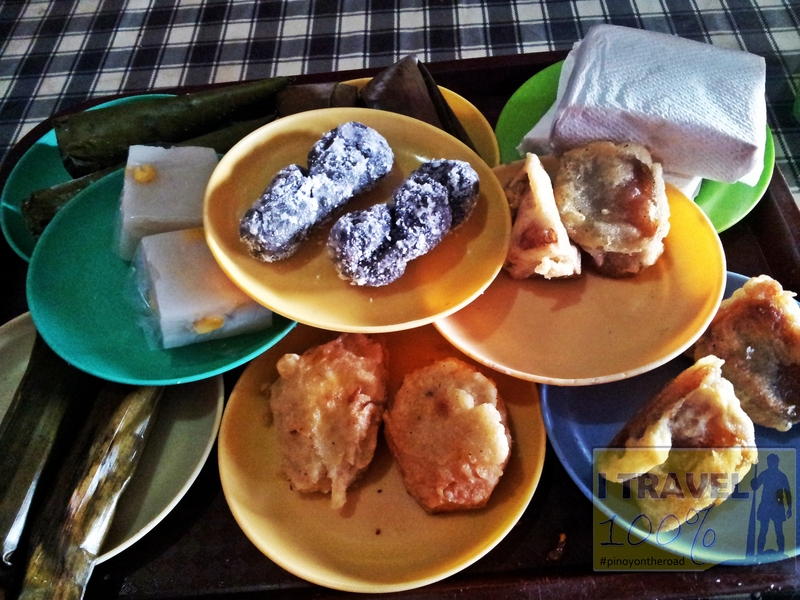 For snacks or alternative breakfast, some local restaurants offer variety of kakanin. I was surprised the first time when they served all the kakanin in front of me though I did not order all. When I asked why they serve plenty of food, the server said that I just eat and pay whatever I consume. Amazing. I tried both satti and the kakanin for breakfast. It was good. I tried the satti in a restaurant near the Town Hall and the kakanin at the Public Market.